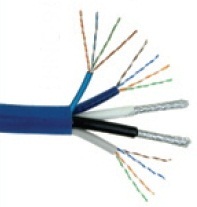 Structured cabling combines all the required cables within a single protected sheath. The result is reduced installation labour costs and a much lower chance of damaged cabling when routing the cables through the building. As speeds and TV resolutions increase, even if the best quality cabling is used, the performance and consistency of connections live and die on Professional Engineers performing high quality terminations at both ends of each cable. The Pleasure Home is rigorous on its need to document every aspect of the Project. This is not only for fault finding, but also to minimise costs when it comes to the inevitable need to upgrade or enhance the system at a later date.